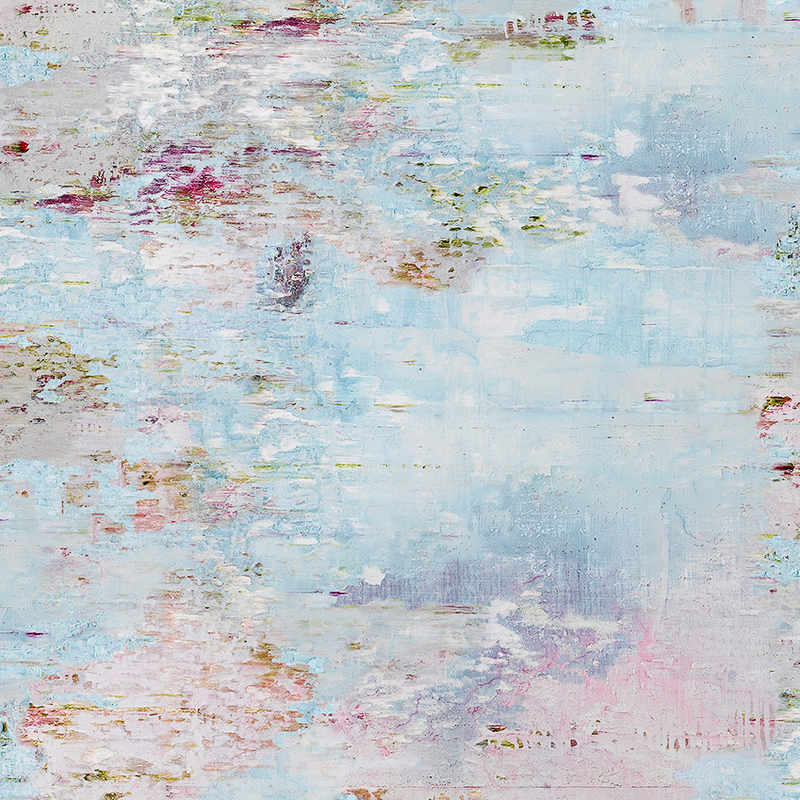 THE WINNER: ‘BIG SMILE’ FABRIC AND WALLPAPER BY JESSICA ZOOB FOR ROMO BLACK EDITION – This enchanting design is reminiscent of a Monet landscape – and indeed, it’s based on a painting by contemporary impressionist artist Jessica Zoob. Available as linen fabric, cushions and wallpaper, it’s a work of art in its own right and comes in two delicate colourways. Wallpaper, £495 per 2 x 10m roll; linen fabric, £70 per m (romoblack.com). Scroll through the gallery to see the rest of this year’s nominees. ‘DOGSTAR’ FABRIC BY MARGO SELBY – Royal College of Art-trained, Whitstable-based designer Selby is known for her colourful, boldly patterned jacquard fabrics, which have a striking three-dimensional quality and are created using a mix of hand drawings and computer programmes. The cotton-mix ‘Dogstar’ upholstery fabric is sold by the metre and is also available as cushions and lampshades. 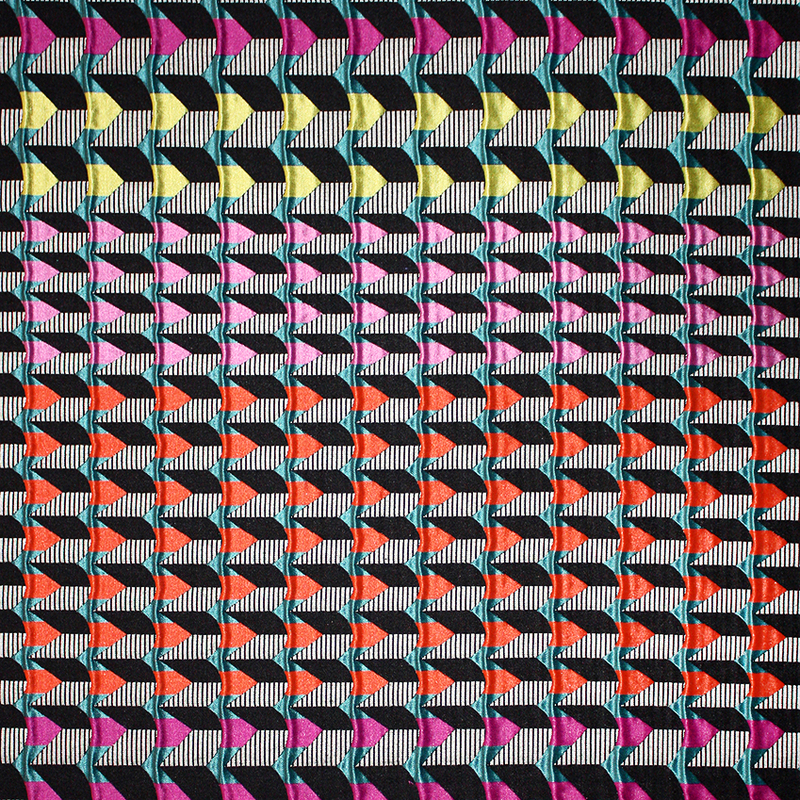 Fabric, £120 per m (margoselby.com). 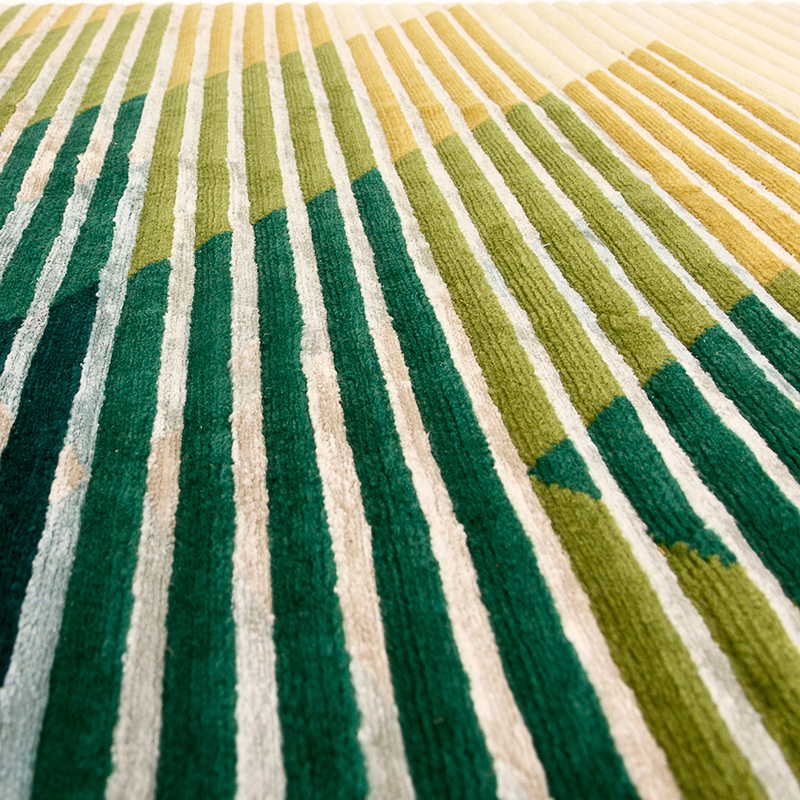 ‘LAKE’ RUGS BY RAW EDGES FOR GOLRAN – Each of these rugs by the London-based Israeli duo is cleverly designed so that different patterns and colours are discernible depending on the angle from which they you view them (the secret is the variations in the height of the pile). They’re intended to look more vivid in daylight and softer by night. £6,776 (golran.com). 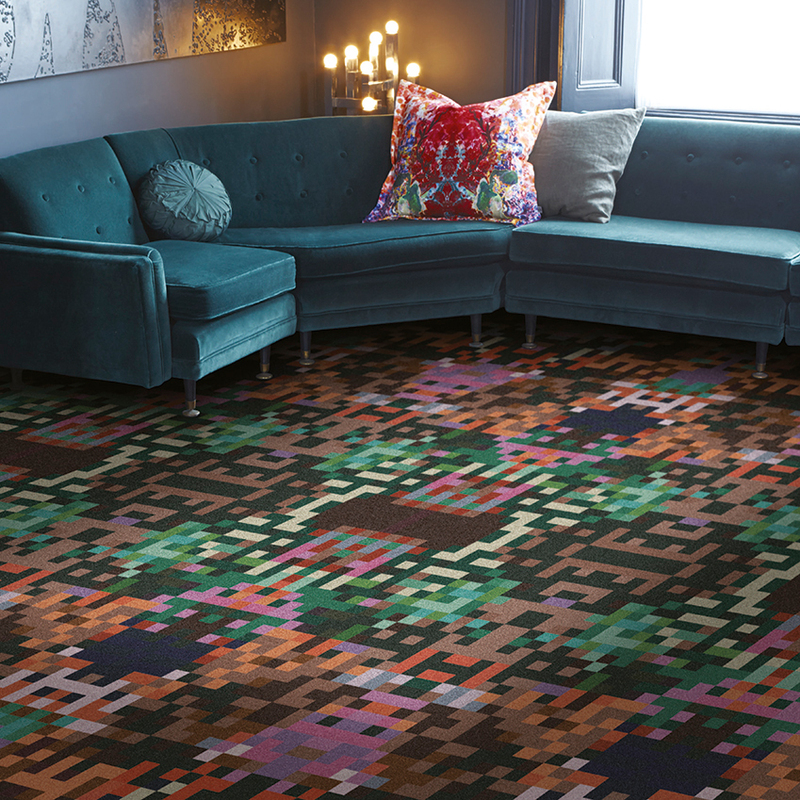 CARPETS BY CRISTIAN ZUZUNAGA FOR BRINTONS – Brintons’ new High Definition Weave technology allows carpets to be woven in up to 32 colours – the ideal playground for Zuzunaga, who has adapted the pixel-based colourful patterns that he uses on his throws and cushions for floors. These new designs were inspired by a visit Zuzunaga paid to the Brintons archive, where antique fabrics and wallpapers revealed surprising similarities with his highly complex works. Carpets made to order, from £150 per sq m (brintons.net). Painter Jessica Zoob worked with Romo Black Edition’s design director, Emily Mould, to turn her Impressionist-style oil-on-canvas artworks into a fabric and wallpaper range. Zoob tells us more about the designs, which were a decisive winner in our pattern category. What inspired the design? I wanted to create a painting full of my favourite things – I love water, reflections, space and tranquillity. I was thrilled when Romo Black Edition approached me about collaborating on a fabric collection. What was the biggest challenge? Translating such a huge painting [it measures 2.5 x 2 metres] into fabric and wallpaper was difficult for all of us. It’s incredible how Romo’s design team has managed to capture the colours and textures from the original artwork. 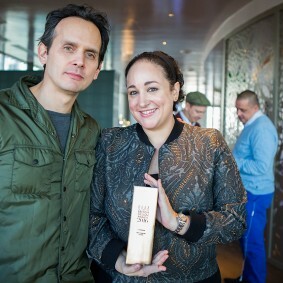 What does it feel like to win an award? 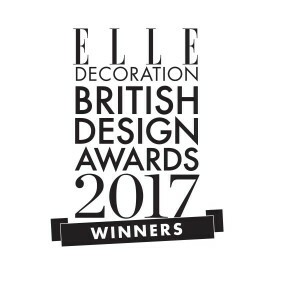 It is such an honour and I am definitely wearing a ‘big smile’! It is particularly special because it is a public vote, so I want to say a huge thank you to everyone who voted. What are you working on next? I am currently creating a new collection of paintings called ‘Playtime’ that will be exhibited in London in the spring. I can’t wait to show people the pieces: they’ll be full of colour and exuberance.